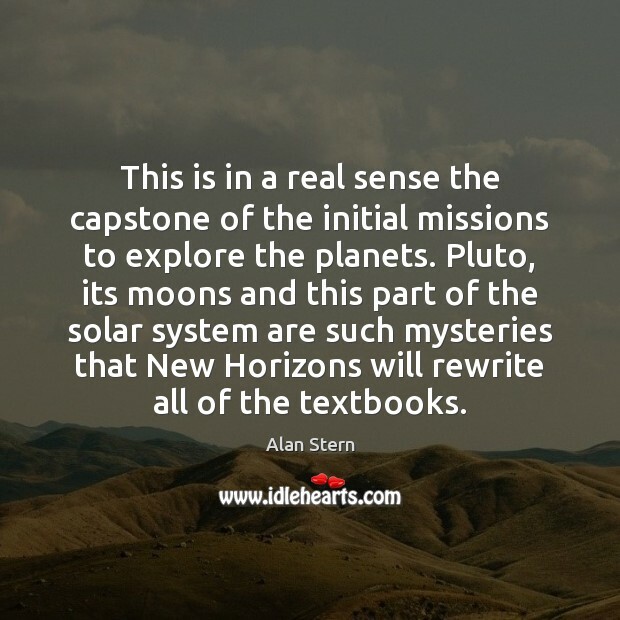 Enjoy the best inspirational, motivational, positive, funny and famous quotes by Alan Stern. Use words and picture quotations to push forward and inspire you keep going in life! 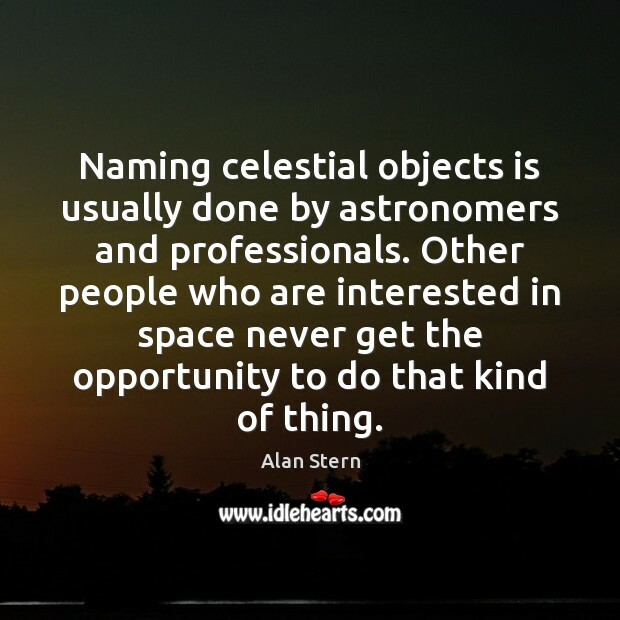 Naming celestial objects is usually done by astronomers and professionals. Other people who are interested in space never get the opportunity to do that kind of thing. 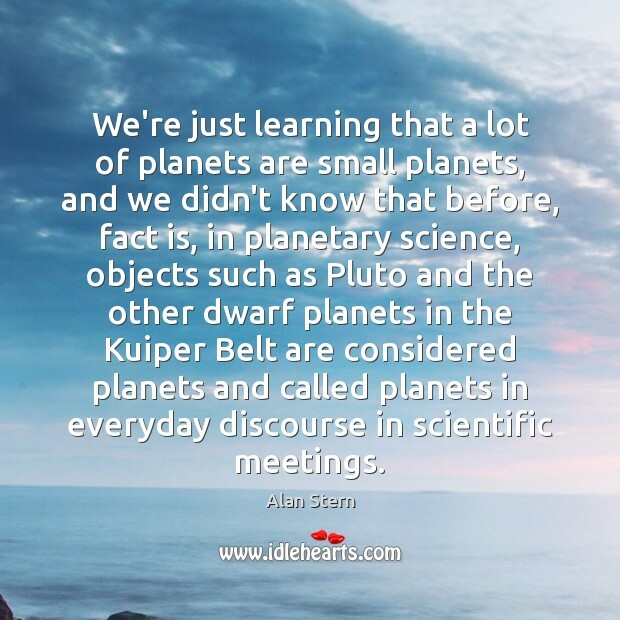 We're just learning that a lot of planets are small planets, and we didn't know that before, fact is, in planetary science, objects such as Pluto and the other dwarf planets in the Kuiper Belt are considered planets and called planets in everyday discourse in scientific meetings. 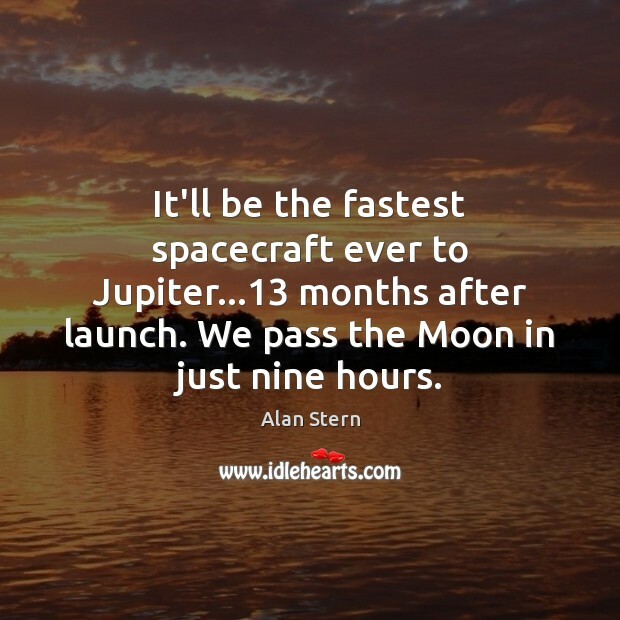 It'll be the fastest spacecraft ever to Jupiter...13 months after launch. We pass the Moon in just nine hours. 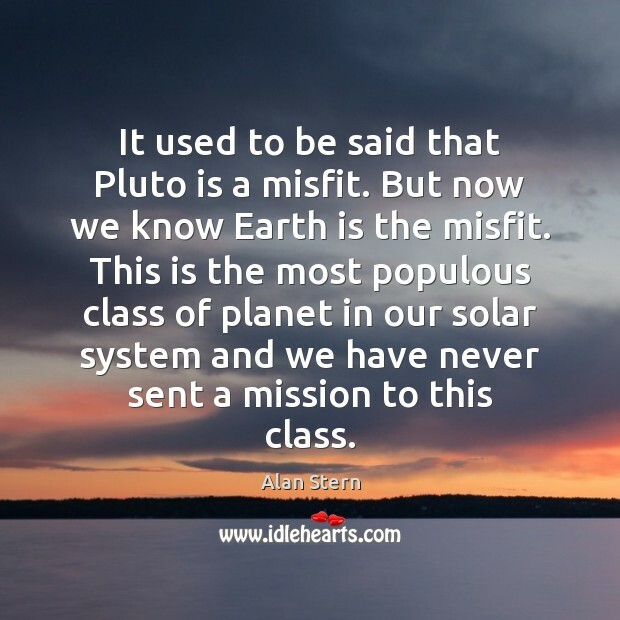 It used to be said that Pluto is a misfit. But now we know Earth is the misfit. This is the most populous class of planet in our solar system and we have never sent a mission to this class.